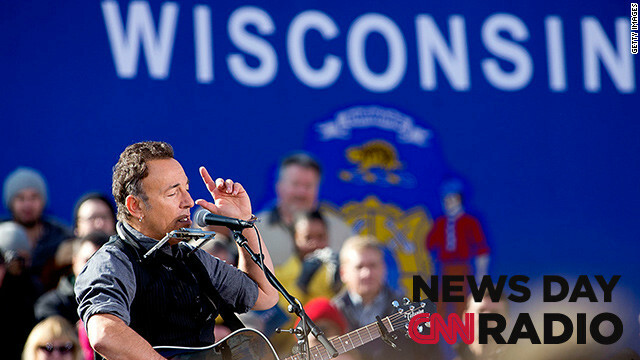 Bruce Springsteen performing at a campaign rally event for President Obama in Wisconsin. “Progress is usually not linear with respect to racial reconciliation. You'll have these monumental moments of change and then sometimes you'll have retrenchment and then we lurch forward", says Emory University political science professor, Andra Gillespie. "I actually have federal orders in my hand that will allow me to command federal forces, if they’re required to come into New York state," says Brigadier General Michael Swezey of the New York State National Guard. "'Three strikes' really had nothing to do with crime. It doesn't serve as a deterrent. And it doesn't serve as an aide to law enforcement in any shape, manner or form."